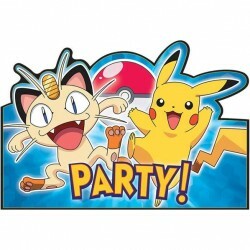 Pokemon Party SuppliesThere are 19 products. 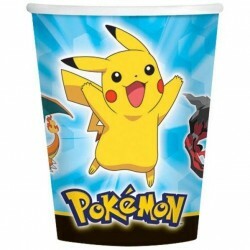 Have an electric time with your favorite members of Ash's team with our Pokemon Cups. 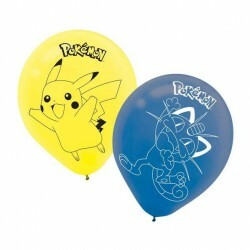 They look great with Pokemon themed attire and will the lightning touch needed to have your party be special. You gotta catch 'em all--all of the spills, that is! 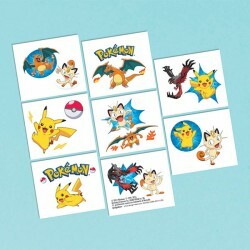 With this 16 pack of Pokemon Beverage Napkins, you will have no trouble combating all of the food and drink mishaps at your Pokemon themed party. The napkins are designed with Pikachu on them. 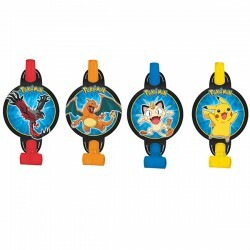 Have your kids ready to cheer when you put out these Pokemon Luncheon Plates. With decals of their favorite Pokemon all over the plates, and plenty of space for food; they'll be excited to eat off of these hefty plates! 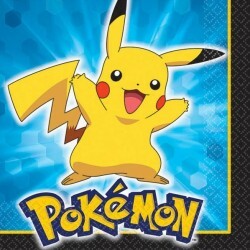 Make sure your guests aren't as late as Ash Ketchum to your party by inviting them with the Pokemon Postcard Invitations! The invitations, which come in a pack of eight, have select Pokemon on them on top of a blue background. 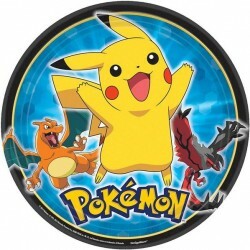 Pokemon 7 Cake Plates are perfect for any Pokemon theme party. 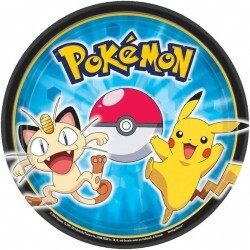 The round plates feature Pikachu, Meowth, and a Poke Ball over a blue background. The border of the plate is decorated in black and gold. Available in a set of eight. 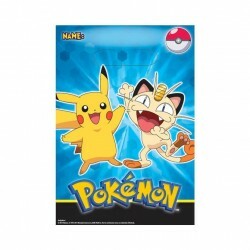 The Pokemon Luncheon Napkins make a wonderful complement to your theme party. 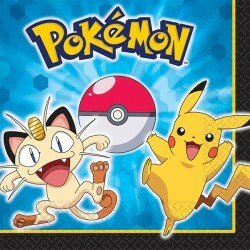 The napkins feature Pikachu, Meowth, and a large Poke Ball. 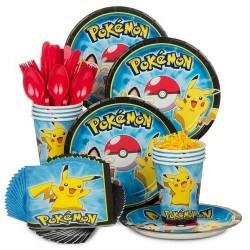 It comes with sixteen napkins in a pack, and matches our other Pokemon tableware accessories. 8/Pkg - Medallion style blowouts. Official licensed blowouts. 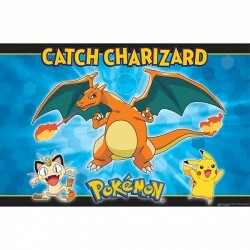 Each - "Catch Charizard" - Played similar to pin the tail. Game includes 1 poster, 8 stickers and 1 paper blindfold.